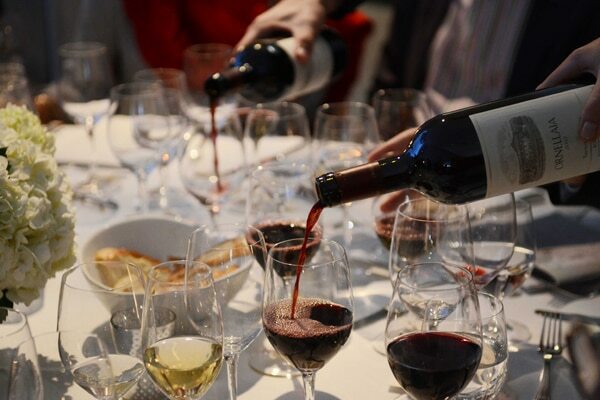 Famed Super Tuscan winery Ornellaia brought their just-released 2013 vintage of that celebrated wine to the Hammer Museum on May 19, in keeping with their annual tradition known as Vendemmia d’Artista. 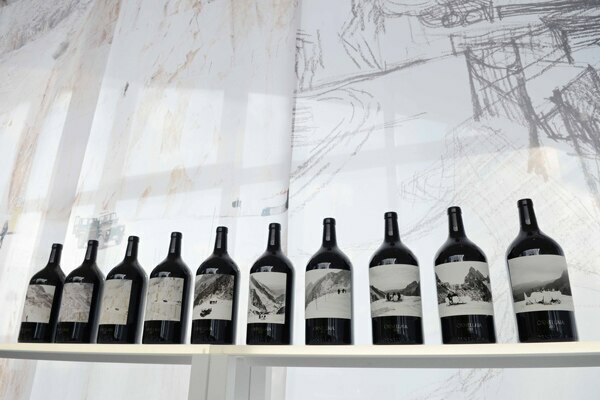 Every year since 2009, Ornellaia has commissioned a world-renowned artist to design a collection of limited-edition bottles; this eighth edition features Japanese-born Yutaka Sone who created the label designs. 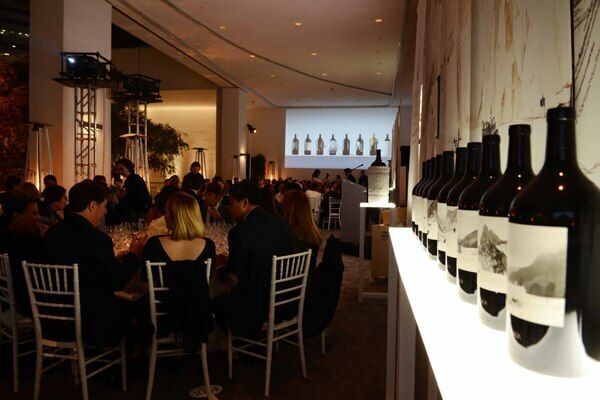 Sone’s creations adorn 109 large-size bottles of the 2013 Ornellaia as well as a special 750-ml bottle. 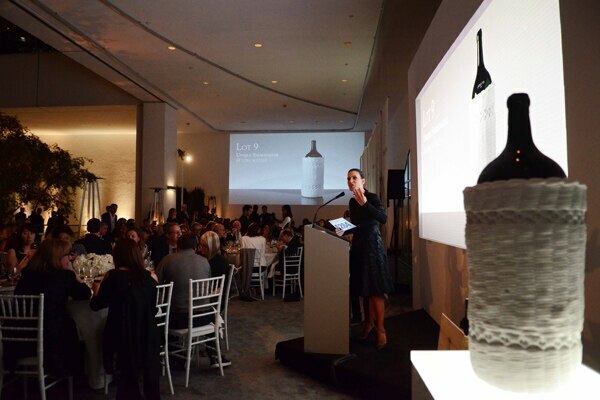 At the gala event that began with cocktails in the Hammer courtyard, then moved upstairs to an elegant dinner created by Chef Suzanne Goin, Sotheby’s Americas auctioned off nine of the unique bottles. Just after the luscious two first courses – diver scallops served with black rice paired with the 2013 Poggio alle Gazze dell’Ornellaia (a Sauvignon Blanc-based white) and mushrooms and asparagus over polenta matched with the 2013 Le Serre Nuove dell’Ornellaia red blend – famed auctioneer Andrea Fiuczynski coaxed $128,000 (114,000 Euros) out of the assemblage for those nine special bottles. The biggest of them all, a nine-liter Salamanazar filled with the 2013 Ornellaia, is a piece of art itself, as it is encased in a marble basket-like sculpture also created by Yutaka Sone. For more information, visit the Ornellaia official website.